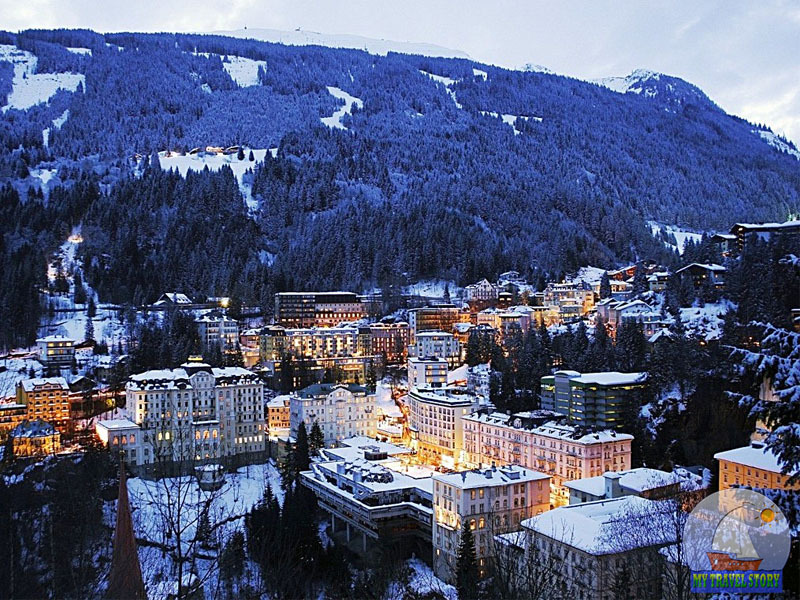 Bad Gastein – Austrian ski resort, situated at an altitude of 1000 m above sea level. The closest to it is the city of Salzburg at a distance of 100 km. The country’s capital Vienna. 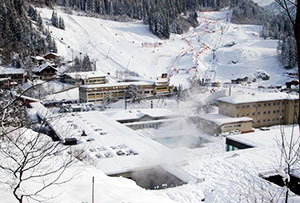 Ski resort of Bad Gastein is the largest in Austria. It belongs to the area of ​​the Eastern Alps, in the valley Gasteiner Ache river, which is in the area of ​​the resort is transformed into two beautiful waterfalls. Beautiful mountains with hundreds of hidden trails in the winter are transformed into the best ski resort is not only the country but also across Europe. A well-known resort of Gastein became even since 1400, when the Duke of Styria Frederick heal their old wounds here due to the healing properties of water. At the end of the nineteenth century already know the whole of Europe has sought to visit the water in Bad Gastein. Lovely resort hotels offer the highest level of service to its guests. Their look is stylized landscape of mountains and waterfalls that gives them natural. Pools, spas are located right in the rocks, they are filled directly from the sources of water, saturated with radon. The climate of the mountain resort, with cool summers and mild winters (average temperature in July is about 14 ° C). Thermal nitrogen and radon springs with temperatures up to 50 ° are used for the treatment of various diseases. They are used for bathing, swimming in the pool, inhalations, drinking cures. Also in the resort are located radon galleries, the healing properties of which were discovered after the treatment of the miners from rheumatism. Here completely cure varicose disease, ankylosing spondylitis, diseases of the mouth, andrological and gynecological problems, complications after trauma, metabolic disorders. Due to the great popularity of the resort for its healing properties, come here to recuperate athletes from around the world. 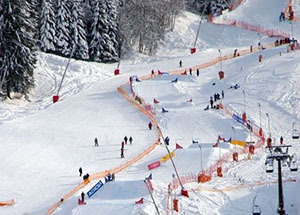 For training in Bad Gastein also has many opportunities – ski and toboggan runs, ice rinks, tennis courts, cross-country skiing, riding school, mountain hiking trails. 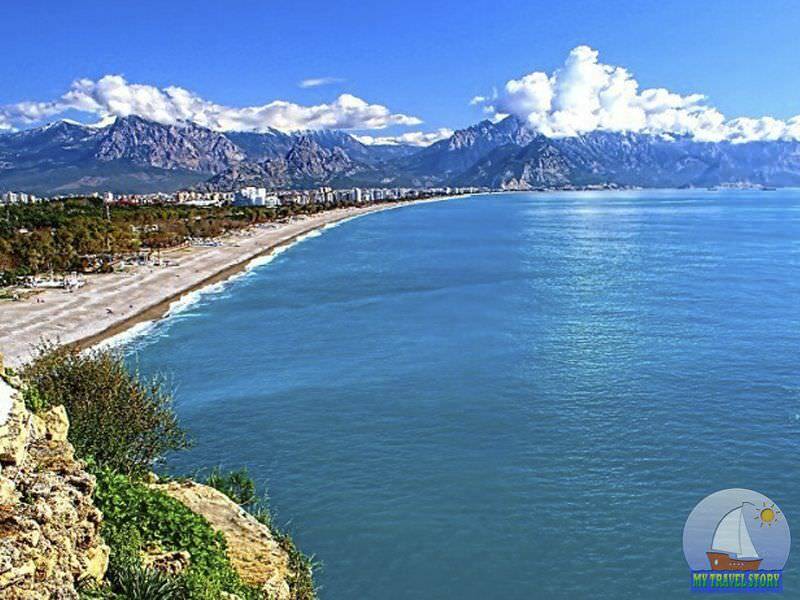 For lovers of the beautiful recreation area are located 30 cozy restaurants. Admire mountain scenery can ride on a cable car in the booth for eight people. 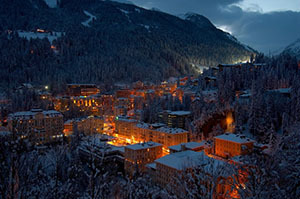 The holiday season in Bad Gastein all year round, but in winter there is a special excitement. Description of the Austrian ski resort of Bad Gastein. Medicinal properties of Bad Gastein, the treatment in the resort of Bad Gastein, leisure, leisure time in Bad Gastein, thermal springs, healing water. Do you want to buy this site?